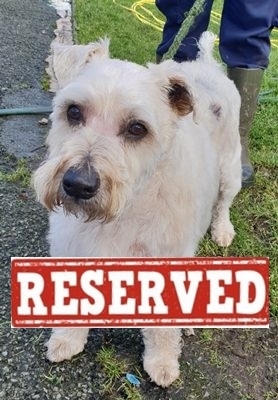 Published 11th February 2019 at 278 × 400 in Dogs Looking for Homes. ‘Riley’ Wheaten Terrier (medium sized) 12yrs+ in age. Riley is a nice old boy who only needs a home as his owner sadly passed away. He has a couple of lumps and bumps which have been assessed and the vet has concluded that given his age it would be unfair to have removed. He’s also a little arthritic in one knee but get’s about very well. He just needs a nice retirement home.